Thankfully, I am neither. As an only child, I never had to compete for favor and attention, nor wonder who my mother loved the most. I grew up feeling self-confident and secure, and to this day, my mother and I are extremely close. As a mother of 4, I sometimes feel I'm performing a juggling act knowing one of the balls will drop at any time. I start my son on a math assignment, then rush to help my daughter with a handwriting page, then sit down to read a book to my preschooler, only to get back up again and retrieve the baby who has wandered into the bathroom to play in the toilet. In contrast, only child homeschoolers have time to provide one on one attention without hurrying to meet the needs of another child. Their children can develop on their own timetables without competing with a gifted sibling or slowing down for a younger child. In addition, parents can develop schedules and choose curricula according to their child's needs, interests and learning style. They have more time and money for outside activities, and even better - sibling rivalry is nonexistent! Unlike homeschooling families of ten, only children don't have a built in social network. However, contrary to popular belief, we do have opportunities to interact with others. My thoughts on homeschooling and socialization also apply to those who are homeschooling only one. Extended family, homeschooling support groups, and homeschooling activities can help only children develop friendships and conflict resolution skills. Although some parents feel the need to fill their child's days with social engagements or surround the child with peers, it is important to give only children time to entertain themselves. Parents should also be mindful about serving as their child's constant companion. All children need alone time, freedom to think of solutions to their own problems and opportunities to learn from their mistakes. In a home school community that often applauds large families, parents of onlies may have to guard their hearts against feelings of isolation, and be careful not to make their children think they are at a disadvantage. When parents are content with the families they have, children will be as well! 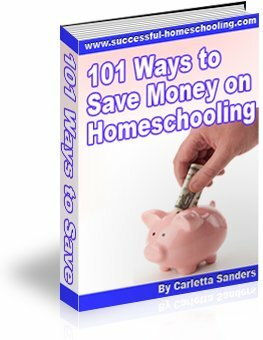 You Can Homeschool an Only Child! In her book Homeschooling Only One, Donna Conner discusses the joys and challenges of teaching her son, who graduated from their home school in 2008. In her words, it is different with an only child, but no less satisfying. To learn more about homeschooling an only child, visit Donna Conner's website.